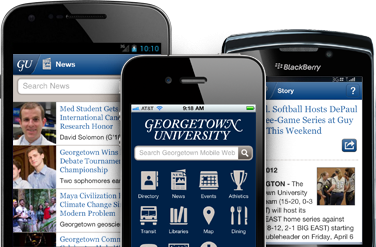 Thanks for visiting GUMobile, the online home of Mobile Services at Georgetown University. Our goal is to provide you with everything you need to Live, Work, & Learn in Georgetown's mobile environment. To get started, check out the links below.